Feet casually crossed on the bench seat of the Orca Song, I waited. 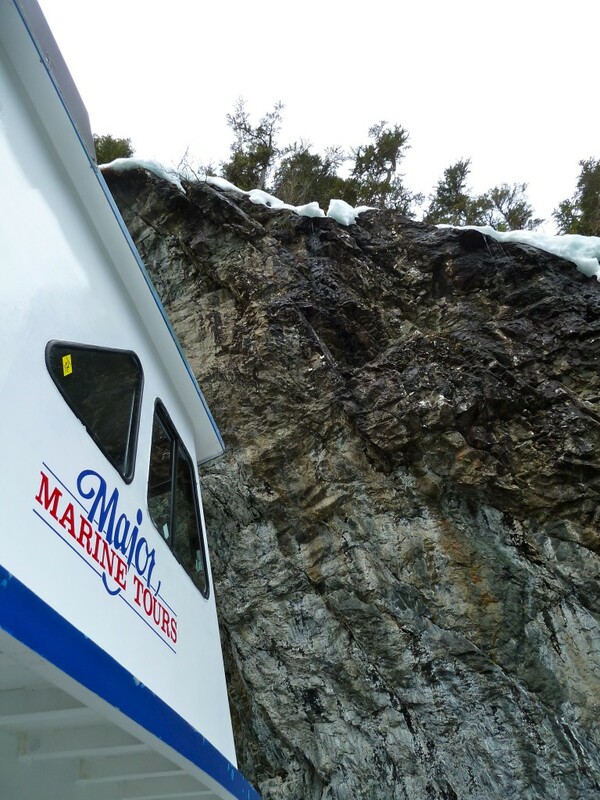 The 70-foot vessel owned and operated by Major Marine Tours in Seward was one hour into a three-and-a-half hour day cruise around Resurrection Bay. 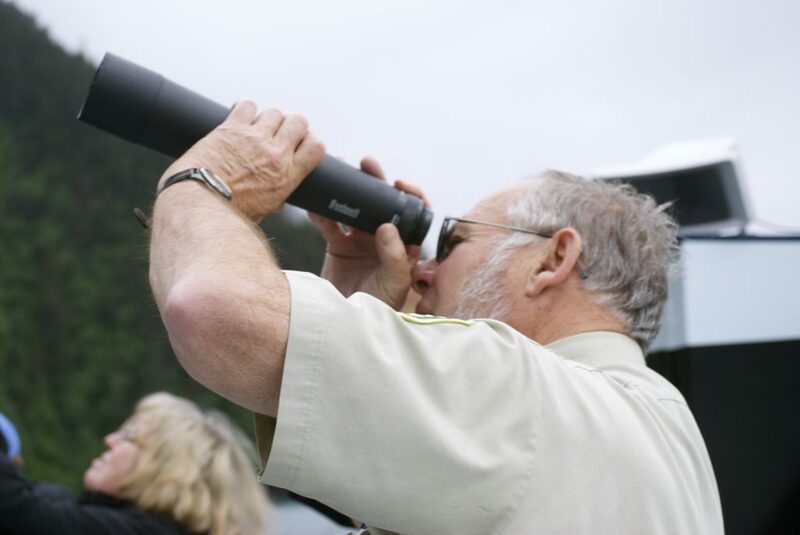 To find whales, Orca whales, to be exact. A calm day, thankfully, to raise binoculars to eyes and gaze across the blue-green water of Resurrection Bay with hope a dorsal fin would appear as a giant black triangle, signaling that on this cruise we had indeed spotted the elusive Orca. But we didn’t. In fact, we didn’t spot much of anything at all. But I’m a pro, accustomed to the “sometimes-you’ll-see-them-sometimes-you-won’t” mantra of wildlife day cruising. Heck, I just enjoy being on the water, bobbing among the puffins and gulls (pretty much a sure thing), watching the craggy mountains ahead and to port and starboard change with the shifting clouds and rays of occasional sunshine. It’s a cruise, not an amusement park ride. 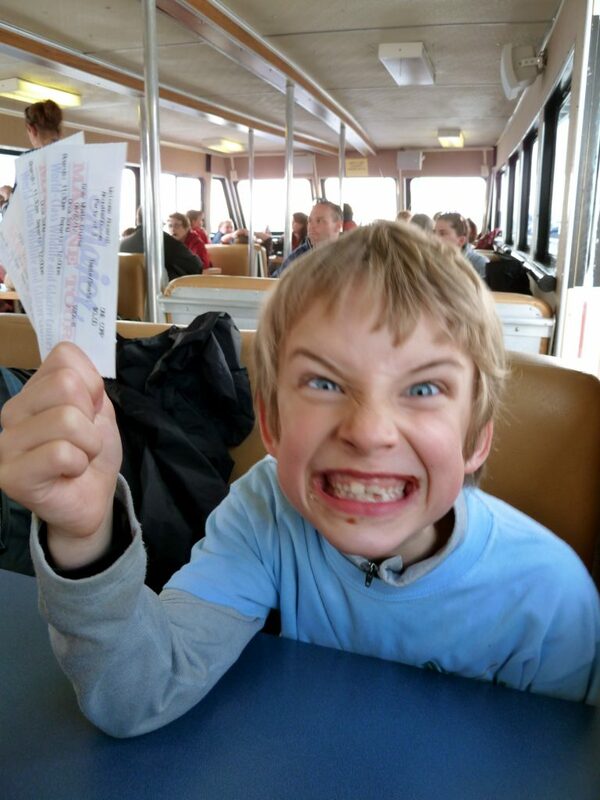 Kids, though, don’t always see things the way we adults do, and even the name “whale-and-wildlife-watching” all but seals the deal: WHALES and WILDLIFE. On the boat with us? Whether three hours or nine, cruise companies do their best to keep family members engaged and having fun, critters be darned. Here are five ideas for onboard amusement if wildlife appears to be hiding out the day you cruise. Become a ranger. Junior Ranger, that is. 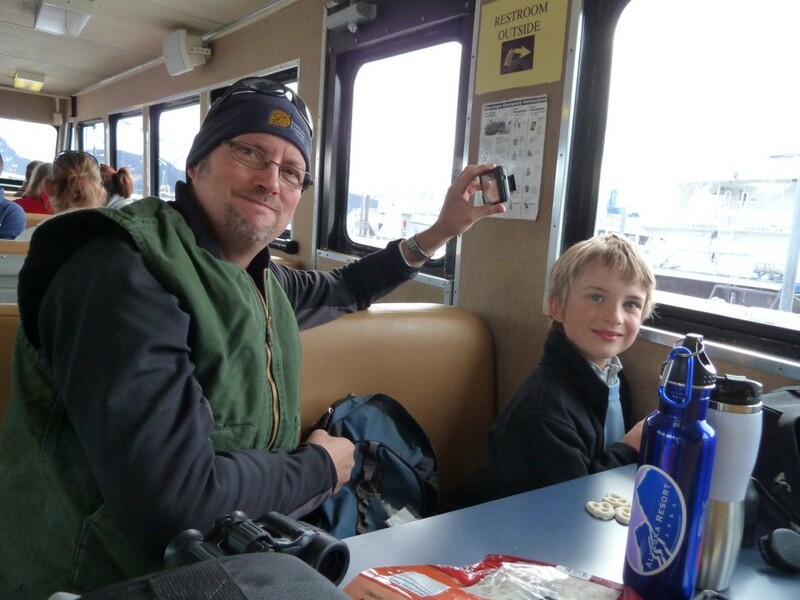 Five of Major Marine’s day cruise options feature a Kenai Fjords National Park ranger (Seward cruises) or a Chugach National Forest ranger (Prince William Sound cruises). Receive your adventure guide upon boarding and spend the cruise learning about the landscape, history, and wildlife, whether you see them or not. Rangers often bring pelts or skeletons for kids to touch, and award badges at the end of the cruise. Create your own scavenger hunt. Can you find the following things… A life jacket; a captain’s hat; an eagle; a cup of coffee; the name of your boat; something blue; a WWII bunker; a tree growing on a rock; a waterfall; a cruise ship; the captain; an otter; a hole in a rock big enough for a person to go through; an old dock; the bow of the boat; the stern of the boat; a rain coat; a huge camera. Visit the captain. Major Marine, like most day cruise companies, enjoys showing off vessels and crew to young visitors. Who knows, you may grow up to be a captain someday. Ask the crew when you board if kids are allowed to come onto the bridge during the tour to learn how everything works. Have a snack. Major Marine Tours features snacks and drinks on all of their cruise tours. From mac ‘n cheese to salmon and prime rib, your family will be well-fed and happy while waiting for those whales to show up. Check your unique tour for a listing of meal and snack options. And don’t forget dessert, and, for grownups, a cocktail or craft beer. Get to know the land. Prince William Sound and Seward’s Resurrection Bay are huge areas. So huge, in fact, that some mountains aren’t even named. Borrow a map from the crew and take a look at the sheer size of glaciers, mountains, and waterways you’ll be traveling near. If you like reading, grab a book before departure at Major Marine’s shop, or a Seward bookstore. Try this cool list of books, stories, and activities that will give you a better sense of where you are. Cool, huh? 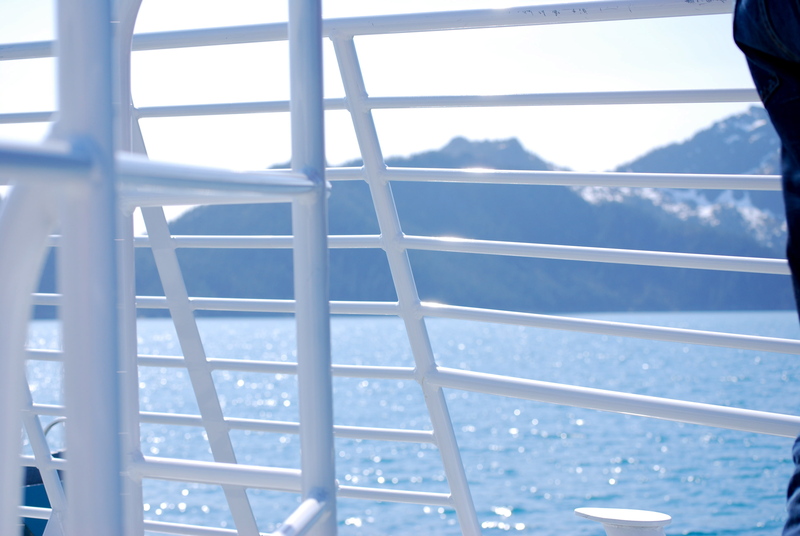 A cruise is an opportunity to experience Alaska, of which wildlife is but one part. There are so many fascinating things to see and do while you float our famous waters. So tell your parents that it’s OK not to see the Orca whales. Maybe they are out looking at other things, too. 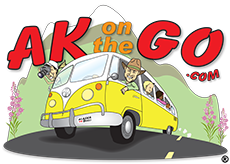 Posted in Kids' Corner, Wildlife/Glacier cruising and tagged Alaska with Kids, cruise, day cruise, Family Travel, Major Marine, Prince William Sound, Resurrection Bay, Seward, whale watching, wildlife tour.